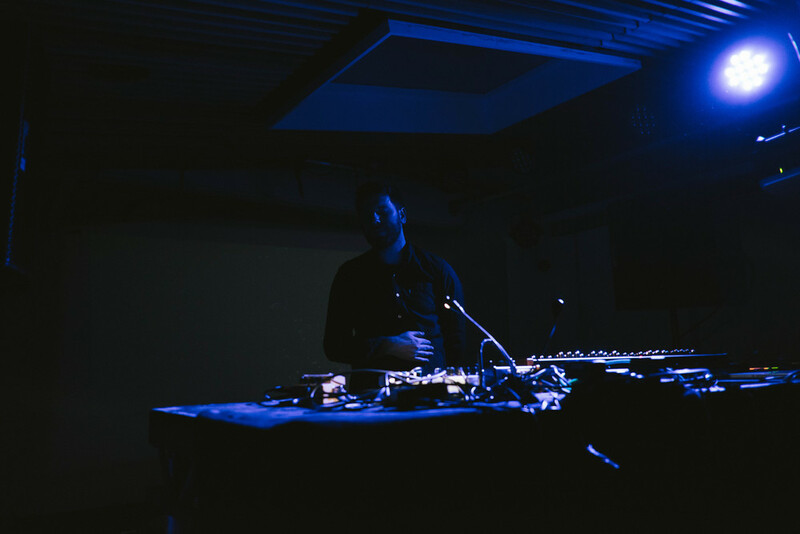 Rival Consoles is an electronic producer who uses analogue instruments, synths and other physical equipment in his song process and live performances. 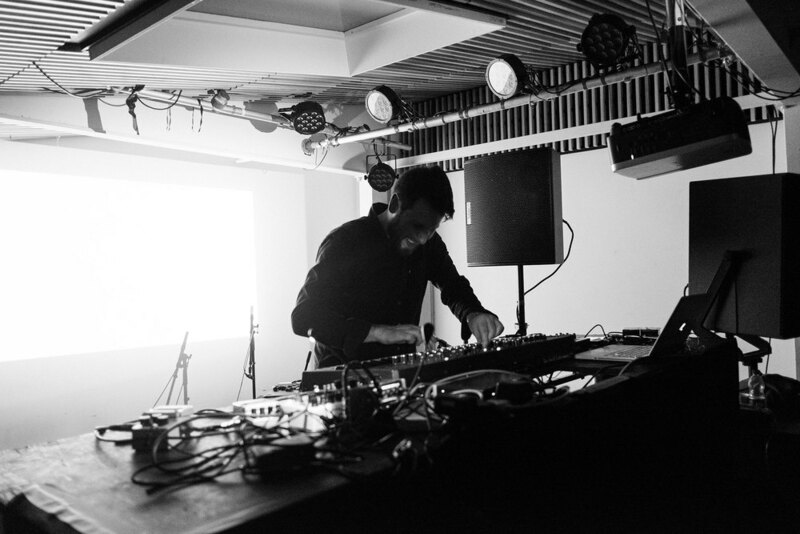 Born in Leicester, England - Ryan Lee West made his debut for the Erased Tapes label in 2007 as “Aparatec” then later experimenting with more complex sounds in his intense EP “The Decadent”. A swarm of lights shimmered in the background of the stage at The Pickle Factory in Oval Space. Thundering sounds came back and forth while “Recovery” played. Echoes and shimmering drums came knocking to our ears in “3 Chords” alongside distorted graphics played on the screen. The background glitched, reenacting the music coming through the speakers creating not only a sight to behold but a wondrous sound too. The hard thumping kicks in “Helios” had a slow warm release that fizzled away. In this venue, the music had lots of base and was very low end. “Phillip” and “Haunt” had the most alien of sounds building up with superbly loud modulation. The performance was immense in all ways from beginning to end. Imagine Jon Hopkins soundscapes and Nils Frahms physical performances besides the bold expressive playing of Stephan Bodzin. There's something rather special about this label, the sheer talent at Erased Tapes and the assertion and passion within the body of music they all encompass and share in emotion across all their work. Forming worlds of sound, textures and tones - Rival Consoles is unlike any other. Head to Itunes now to purchase his discography here. You can also buy the cd and vinyl of the 2015 album “Howl” at Roughtrade. 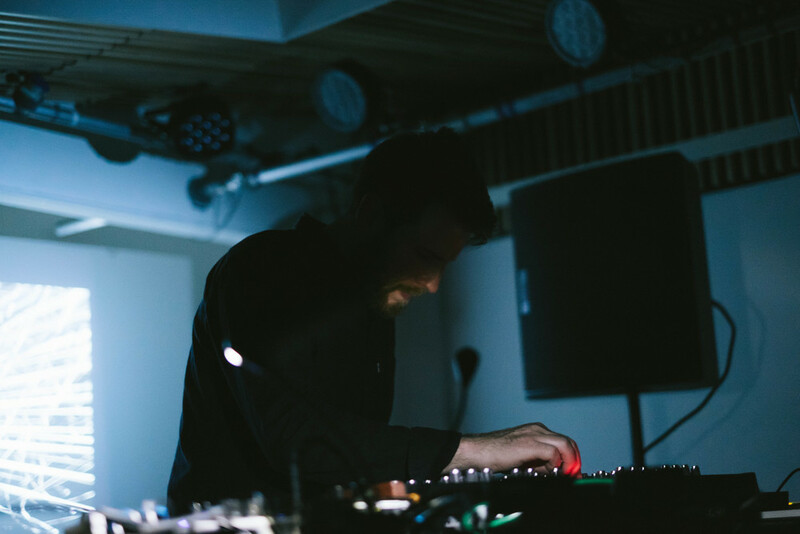 Also be sure to visit Erased Tapes and follow Rival Consoles on Facebook and Twitter for more news.